Home / Shopping / How Much Speed Is Enough When Hunting With a Crossbow? Hunting With a Crossbow: One of the most common issues that people get into when trying to find crossbows is that they think that the ones that produce the fastest shots are better. Others will look for the best possible arrows that can move even faster. But the problem here is that not every shot that is faster will be better. A significant concern to note about the speed with a crossbow entails the launching process. The extra force needed to get an arrow to move faster will only cause the target you are going after to be started. The added noise that comes from the crossbow will cause the target to notice the threat in an area. Therefore, an arrow that is slower will not produce as much noise as a faster one. The lack of force for getting the arrow to move that quickly will not be much of a problem. Speed can make it harder for you to keep control over a bow. The main problem comes from how a crossbow that produces a faster speed often weighs more than what you can afford to work with. The added weight can be a burden to your attempt to complete a shot. This comes from the extra weight bogging down the bow and keeping the shot from being aligned well. Having something with a slightly lighter weight might be easier to manage. You would have more control over the shot because you’re not trying to reposition yourself or struggle to keep a good hold on a crossbow. While the speed of the arrow might be a little lower at this point, you are still getting a decent shot moving to your liking. The best thing to do about speed is to be comfortable with closer shots. People often think about speed from a crossbow based on long distances. But crossbow hunting is all about mid-range distances. It is not as though a crossbow is going to travel real far based on how well you shoot. The right idea for shooting is to think about the speed of the arrow at 30 to 40 yards. This is around the distance that you’ll be hunting things at. You should not go too far ahead of yourself when it comes to the shooting speed or else you’ll think far too much about speeds that are much faster and better suited for further distances. When trying for something too far, you are only going to produce sounds that would make it easier for your target to notice what you are doing, thus making it harder for you to get a proper shot off. The most important part of hunting with a crossbow, as Ten Point Crossbows refers, entails how well the arrow enters the target. Even the fastest shot will not do well if the shot does not make it through the target all the way. A clean shot is needed to ensure the target will be taken down accordingly. This includes the arrow going straight into the target at the proper angle to where it can pierce through its outside hide and into its vital organs. The general positioning of the arrow is also important to note based on where on the target’s body it reaches. There are no particular rules out there as to how fast your crossbow shot should be going. You should still look at how well the shot is produced based on the type of crossbow material you have and the kind of target you are going after. Just because a target is larger in size does not mean you need something that goes very fast. Of course, anything that might be too small would certainly be hurt by a faster and more powerful shot. You need to at least think carefully about the shot versus the target, but you should not take in anything that is too fast to where the arrow would obliterate the target and make it useless. You should not assume that a faster arrow or more powerful crossbow is going to be better for windy conditions. The problem here is that you’re not necessarily going to get a better shot off even when the conditions are windy. The wind is not going to be much of an influence when it comes to your shot, so be aware of where you are pulling off your shot if you want to make something work for you. There is one point about using a crossbow that you should notice. The people at Ten Point Crossbows do suggest that you avoid giving up the kinetic energy that you need for making the most out of your shots. You have to ensure that you have enough kinetic energy for ensuring that your shot moves forward the right way. Getting the kinetic energy needed for a shot is important so you can get the force out for your shot regardless of how fast the arrow is. Besides, the ability of the arrow to accelerate may be more important than the speed of the arrow itself. The kinetic energy that you produce here should be important to note when you’re aiming to make the most out of your shot. You can use that kinetic energy to keep the shot active and to be more proficient in attempting to pierce through its target the right way. The effort should provide enough force to move through even the toughest animals that you might struggle to get through. 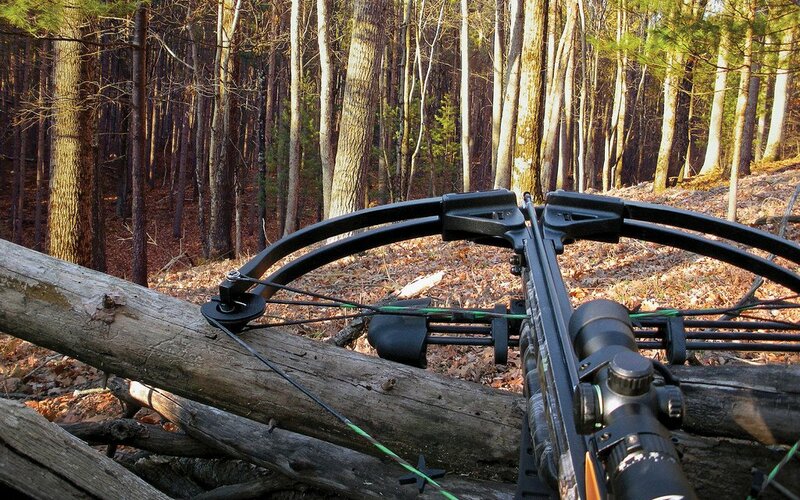 You must be aware of how well you’re going to handle your crossbow hunting activities. It will not be hard to keep a shot going if you have a good enough speed, but it is essential to notice what you’re getting out of your shot. You need to keep yourself from having a shot that is far too fast, or else you might not do well with your shot or even startle your target. Previous How Does a Hearing Aid Work?